Uncle Bill's Pet Centers. 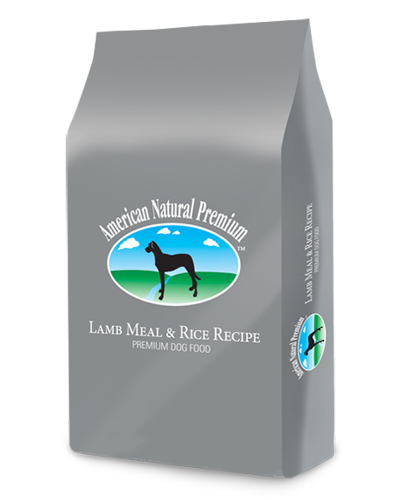 American Natural Premium Lamb & Rice - 4 lbs. At Uncle Bill’s Pet Center, we not only offer American Natural Premium dog food for sale, we also employ a highly trained staff that can assist you in finding an appropriate formula. Limited ingredients—lamb meal, brown rice, barley, peas and oat flour—are good for dogs with chicken intolerances or sensitive stomachs. A super-premium blend of natural and proteinated minerals and vitamins support dogs’ well-being. A full blend of prebiotics and probiotics supports a healthy digestive tract and immune system. We will be glad to work with you to ensure that you feed your dog quality food for optimal health and happiness by providing the best selection and value on premium dog food for sale in Indiana.